Liven up doing the dishes with this fun novelty tea towel set. 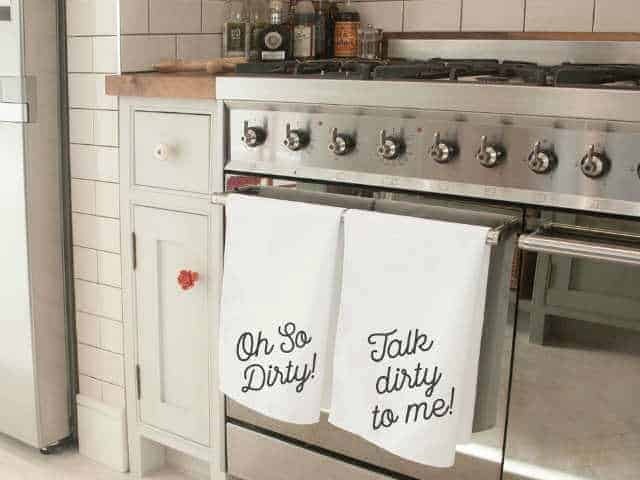 Twin white tea towel set printed in black with ‘Oh So Dirty’ and ‘Talk Dirty To Me’. Printed using heat pressing technique.